If one were to name the top five fossil sites in California, the Sharktooth Hill locality would turn up on just about any paleontologist’s list. For over 150 years, amateurs and professionals alike have collected Miocene marine fossils from Sharktooth Hill and associated outcrops throughout Kern County, California. First formally documented by renowned paleontologist Louis Agassiz in 1856, these rocks capture a snapshot of the nearshore ocean ecosystems that existed in the North Pacific during the middle Miocene, around 16 million years ago. 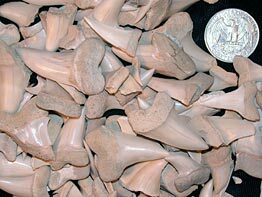 Though much of Sharktooth Hill’s fossil wealth became part of private collections, a great deal has been reposited at the California Academy of Sciences, UCMP, and other institutions. to the well-known shark teeth for which the Hill was named  in particular the teeth of the legendary and monstrous great white shark, Carcharodon megalodon. For the past thirty years, the Buena Vista Museum of Natural History in Bakersfield and local collectors have collaborated with many researchers in the recovery and preservation of material from the Sharktooth Hill area, including UCMP research associate Jim Parham and then UC undergraduate Shannon Lynch, who described a new hard-shelled sea turtle Euclastes hutchisoni1, and UCMP alum Tom Stidham, who described new material of the strange bird Osteodontornis in 20042.